NETGEAR delivers wirespeed Gigabit performance and a full set of Layer 2 management features, as well as static routing with unsurpassed affordability. 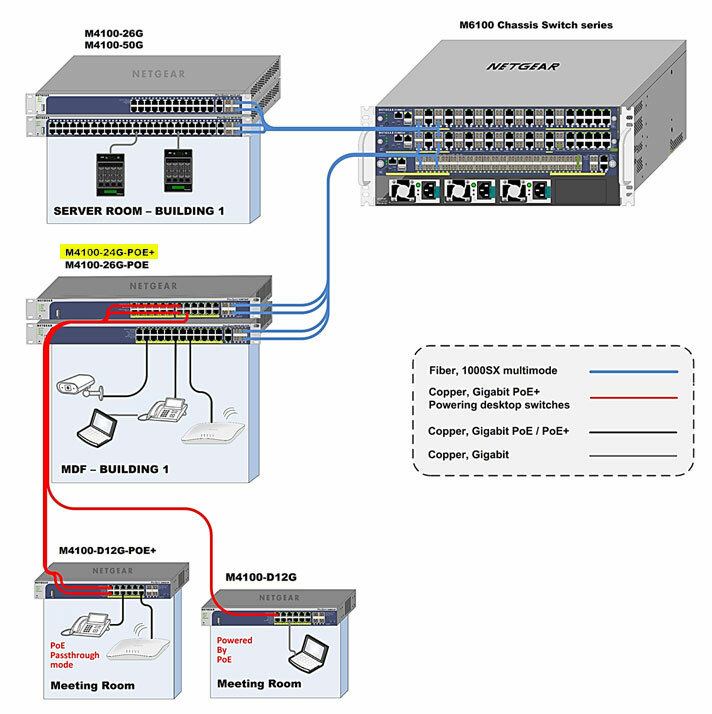 This next-generation, high-speed switch delivers maximum throughput where you need it - to high-performance workgroups at the edge of the network, or as a backbone for Fast Ethernet switches and high-speed servers in demanding small networks. 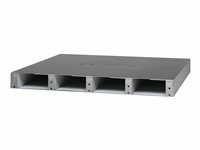 The non-blocking design offers full Gigabit throughput simultaneously to all 24 10/100/1000 ports to ensure reliable performance. Flexible fibre connectivity is enabled through four combination small form-factor pluggable (SFP) Gigabit interfaces. Layer 2 management functionality delivers reliability, control, and availability. Static routing enables inter-VLAN routing and provides a faster network and more effective bandwidth management. Access control lists (L2-L4) provide robust security, while L2-L4 based QoS provides enhanced traffic management capabilities. 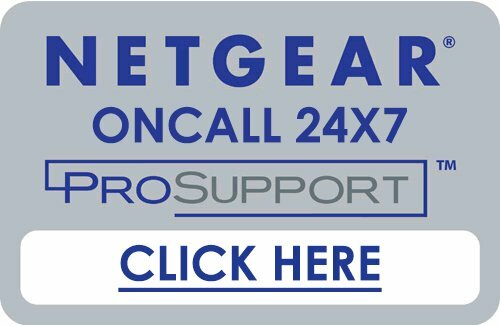 The cost-effective NETGEAR ProSafe 24-port Gigabit L2 Managed Switch creates a more productive - and future-proof - network. With increasing bandwidth requirements from applications such as voice, video, database management, and other services that slow throughput and response time, you can unleash your network and enable maximum productivity with Gigabit Ethernet for today's high-performance environments. Full 24 10/100/1000 ports and a non-blocking design provide wire speed throughput and maximum bandwidth for the most demanding network environments. The Layer 2 management features optimize bandwidth throughout the network - delivering Gigabit performance to systems, applications, and services. Take advantage of forwarding rates up to 71.4 million pps, and a switching capacity of 96 Gbps. Move up to Gigabit power in minutes. Use either of these solutions as a managed switch out of the box - just plug and play! All ports are auto-negotiating and support Auto Uplink technology. Choose from two easy-to-use management interface options - Web interface or a command line interface available through console or telnet. Comprehensive remote administration capabilities reduce the need for on-site administration. Meet your management needs with SNMP (v1, v2c and v3), RMON, Command Line Interface (CLI) and completely redesigned Web-based GUI, ProSafe Control Center. Advanced features include up to 512 VLANs, DiffServ traffic prioritization and 802.1p (QoS) for Voice over IP services (VoIP), broadcast storm protection, RADIUS, 802.1x, port trunking, Rapid Spanning Tree, and link aggregation. These products offer Layer 2 management and full Gigabit power at a compelling price. 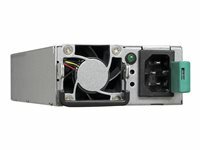 Use at the edge to improve workgroup connections, or at the core to upgrade a Gigabit Ethernet backbone - now you can afford the power your network deserves.